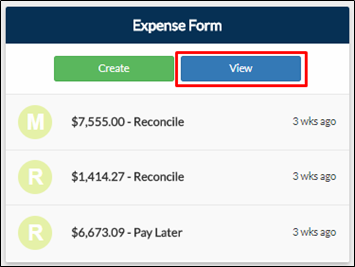 You can submit multiple expenses through the use of Expense Report. Inside Project – From your dashboard or construction tab, click View on Expense Form tile. Outside Project – From your navigation bar, go to Management > Reports > Expense Report. Or you may search for ‘Expense Report’ on the search bar located on the upper right corner of the portal. 2. On the Expense Report page, click Submit New Expenses on the bottom right corner of the expense table. 3. When submitting expenses inside the project, the Project Name field is populated and field is disabled. If submitting expenses outside the project, click the Project Name field and select the project name. 4. Fill out the details. Click Add to add another record of expense to be submitted. Click Delete to remove the record of expense. Both buttons are under the Action section or the form. 5. Once filled out, click Save. 6. The expense report table will be refreshed and the submitted multiple expenses will be the only ones displayed.